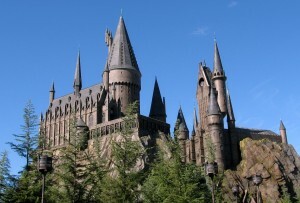 Make your way through the classrooms and corridors of Hogwarts. 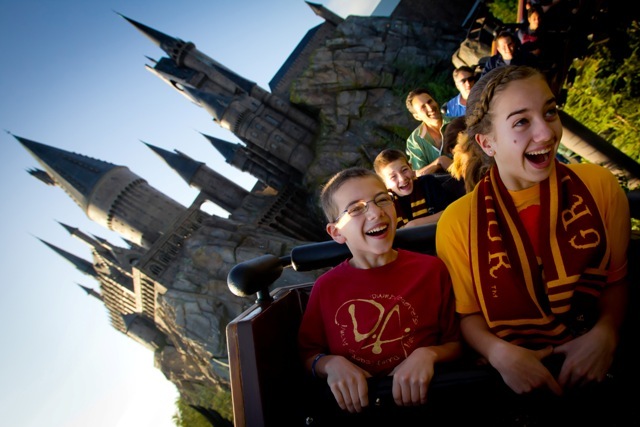 Then soar above the castle grounds on a groundbreaking new ride that lets you join Harry Potter and his friends on an unforgettably thrilling adventure. 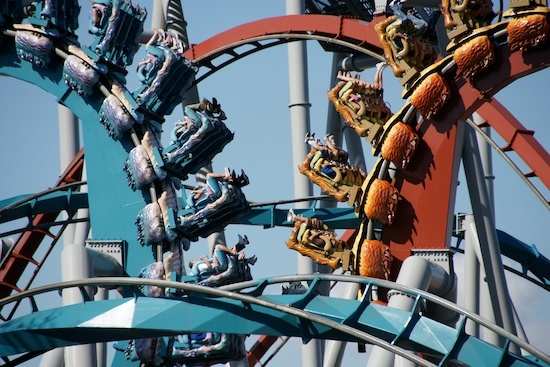 You’ll need the courage of a Triwizard Tournament champion as you climb aboard one of two ferocious dragons that twist, loop and nearly collide in a high-speed, intertwining roller coaster chase across the sky. Each “dragon” is a completely different ride! Learn the proper way to approach a Hippogriff before you take off on a family-friendly coaster that spirals and dives around the pumpkin patch, and swoops past Hagrid’s hut and Hogwarts. 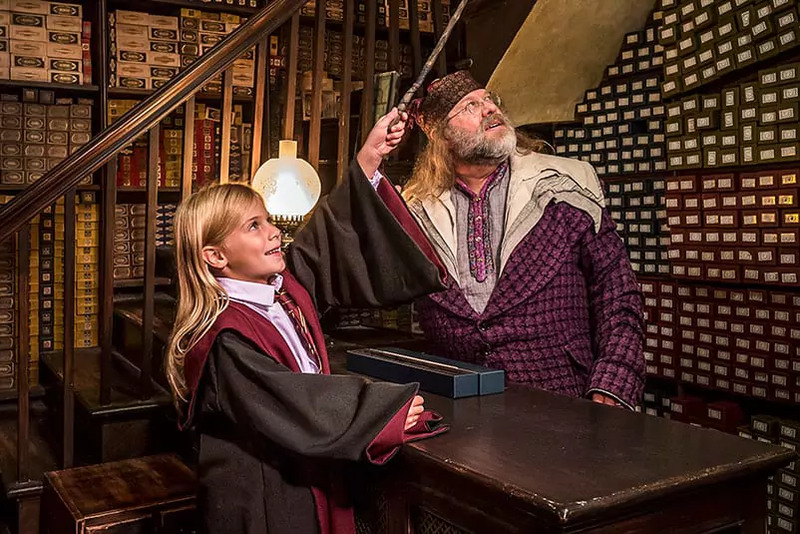 Explore more of the wizarding world than ever before at The Wizarding World of Harry Potter – Diagon Alley at Universal Studios Florida. 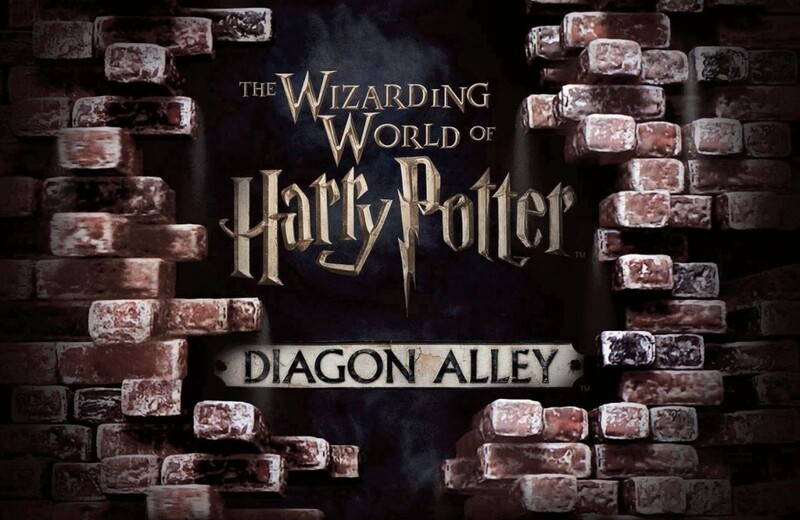 Enter Diagon Alley from the streets of London just like Harry did. Dine at the Leaky Cauldron, see a wand choose a wizard at Ollivanders wand shop, and experience the excitement of a multi-dimensional new thrill ride inside Gringotts bank. At the far end of Diagon Alley stands Gringotts, the goblin-run bank. 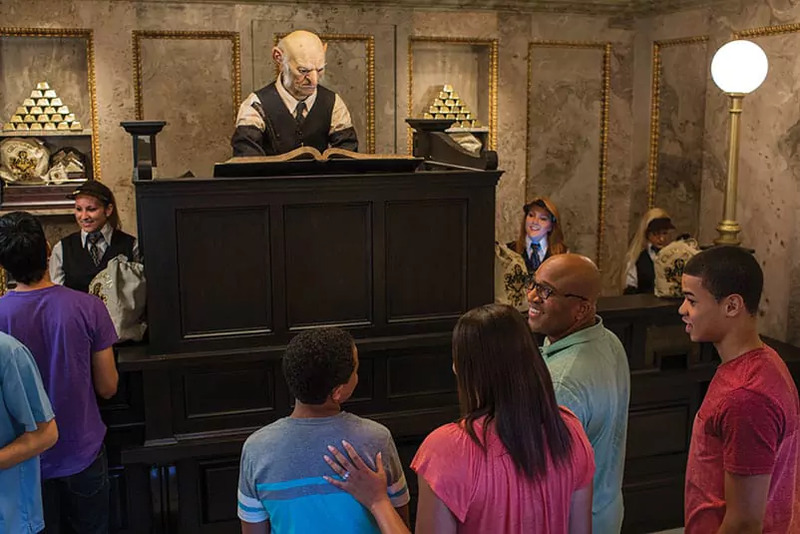 Inside, you’ll experience a pulse-pounding adventure on the groundbreaking, multi-dimensional thrill ride that puts you right in the middle of the action as you navigate your way through the perils of the Gringotts vaults – encountering Harry, Ron, and Hermione along the way! See a wand choose a wizard at Ollivanders wand shop. 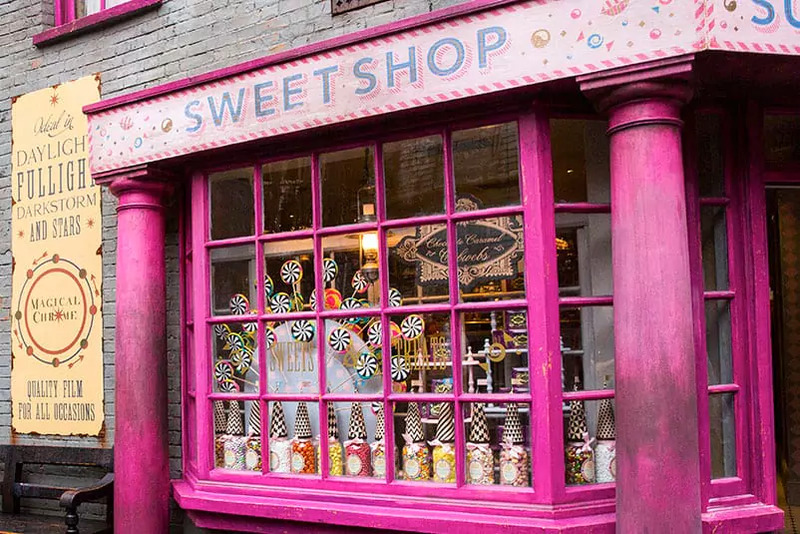 Pick up magical jokes and novelty items at Weasleys’ Wizard Wheezes. Find all your wizardwear needs at Madam Malkin’s Robes for All Occasions. Bring home a furry, feathered, or scaly creature from the Magical Menagerie. Search for supplies at Wiseacre’s Wizarding Equipment. And gather all your gaming gear at Quality Quidditch Supplies. When you’re feeling a bit hungry you can dine on delicious pub fare at the Leaky Cauldron. Sit down and relax as you enjoy a traditional British meal, or indulge in a frozen treat at Florean Fortescue’s Ice-Cream Parlour. 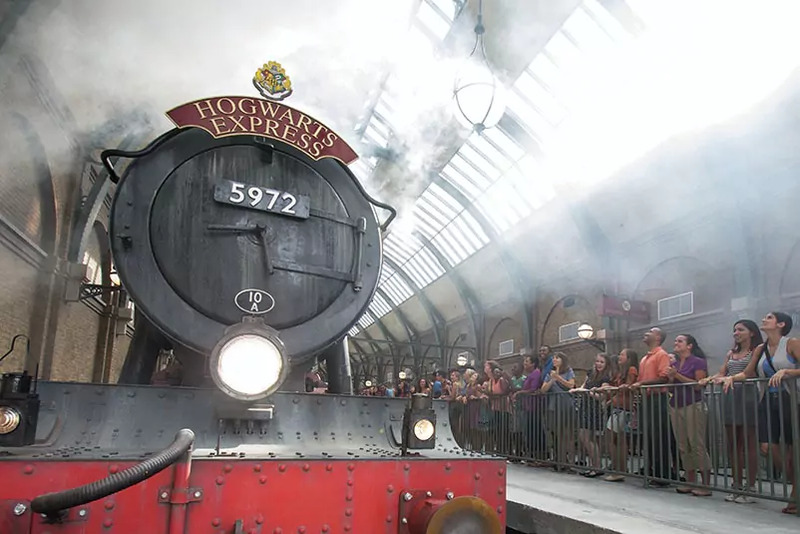 Take your own journey from the land of Muggles to the land of wizards and back again when you board the train between both Hogsmeade and London via the Hogwarts Express with a Park-to-Park admission ticket or an Annual Pass.